Goodreads: You would think after helping save her boyfriend from an eternity in Hell that things would go back to normal. Well, as normal as life can be when you can see souls and your boyfriend is Death. But for Pagan Moore, things are just getting weirder. After finding out that her ex boyfriend isn't human pagan's life is only getting stranger, Leif is missing and has the town in a panic. however he is appearing in her dreams manipulating them to show that he has been in her life since she was younger. when Death identified Leif as soulless he had now idea how much more trouble pagan was in, it turns out her soul has been marked as Leif's as part of a restitution since she was a child but dank wont take this lying down pagan is his and her soul belongs with him. but when people she loves start dying pagan sacrifices her self to Leif to save them. when Death finds out that Leif has taken Pagan to the land of the spirits he is furious and threatens to tear the world apart to get her back, but can he? 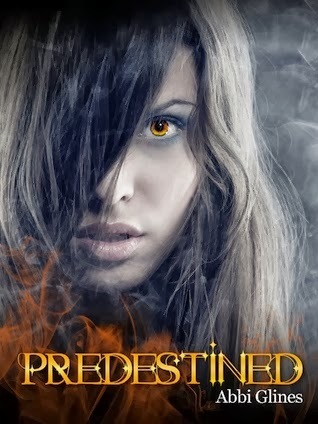 will Death get Pagan back or is she destined to spend her life in the land of spirits ? I couldn't wait to read this book after reading the first one, i loved the Existence so much i had high expectations for this book and it did not disappoint it was more adventurous and exciting than the first. like Existence i loved the uniqueness of the story. The book had me hooked from cover to cover. the story is action packed and full of adventure and suspense. I was hanging on the edge of my seat all the way through the story. in some parts i was sat going no! that didn't just happen. I loved the contrast of suspense, action and romance. there were some bits i want to cry at. over all it was a brilliant book with a well written, exciting story-line. All of the characters you fell in love with in the first book are just as amazing is book. i think Pagan is an amazing lead female in this book she is strong and determined, Dank is equally as swoon worthy, i loved the determination you seen when he is going to get Pagan. all in all this was an amazing book i have Leif on my kindle so i'll be starting that today.